Posted 02/13/2019 by Emmanuel Lagumbay & filed under News. Tim Larkin recently had the opportunity to kick off the soundtrack to Valve's newest title, Artifact, a card game based on the lore of DOTA. While it remains in the DOTA universe, the music follows more of a traditional game-state approach than the heavily dynamic timeline a player may experience in DOTA 2. He was also recently interviewed by podcast-extraordinaire, Emily Reese, and author Randall Larson. 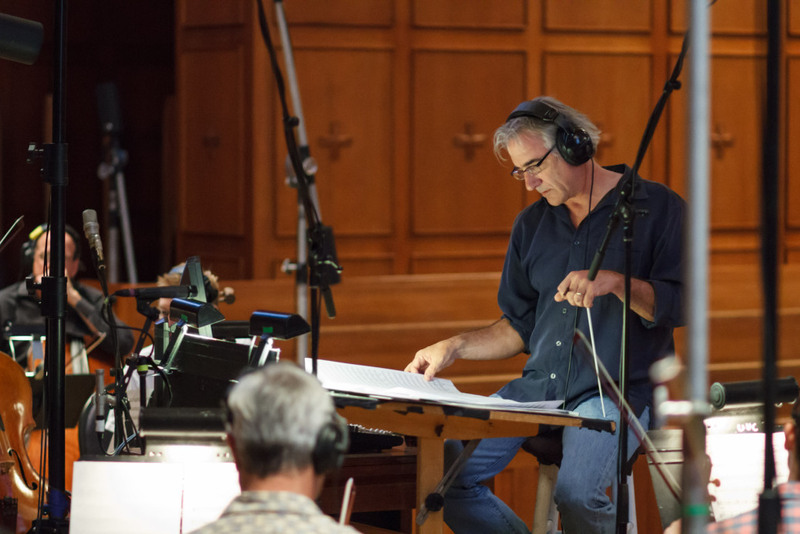 In his interviews, Tim speaks about his orchestration, the live recording sessions, and shares his experiences throughout his career. Below are links to his two interviews, as well as the soundtrack to Artifact! "Emily is a great asset to our game audio community having interviewed numerous game composers over the years, and continually contributing her insight and passion for music of all types in her ongoing series. Please support her efforts by checking out https://lwer.podbean.com for all of the latest in depth interviews." Randall D. Larson also had a set of questions for Tim both about Artifact, and Tim's overall career as a composer. Randall was the editor and publisher of CinemaScore: The Film Music Journal, and is the author of "Musique Fantastique 100+ Years of Fantasy, Science Fiction & Horror Film Music."